Welcome to the official website of the Australian High Commission in Port of Spain, Trinidad and Tobago. The Australian High Commission is accredited to Antigua and Barbuda, Barbados, Belize, Dominica, Grenada, Guyana, Haiti, Jamaica, St Kitts and Nevis, St Lucia, St Vincent and the Grenadines, Suriname, The Bahamas and Trinidad and Tobago. The High Commission is also responsible for providing consular assistance in Anguilla, Aruba, Bonaire, British Virgin Islands, Cayman Islands, Curaçao, French Guiana, Guadeloupe, Martinique, Montserrat, Saba, St Barthélemy, St Eustatius, St Maarten, St Martin, and Turks and Caicos. John Pilbeam has served as Australia’s High Commissioner to Trinidad and Tobago since 2016. You can read his biography here. In addition to being accredited to the countries listed above, the High Commissioner is also Australia’s Plenipotentiary Representative to the Caribbean Community (CARICOM). You can read about Australia’s relations with countries of the Caribbean and CARICOM here. Visit our page Australia in the Caribbean today! 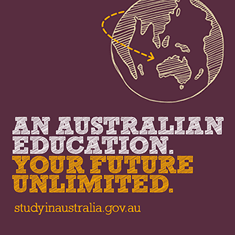 To enroll, check or update your enrolment details visit www.aec.gov.au. The deadline for enrolling or updating your details for the federal election is 8pm, Thursday 18 April (Australian time in the electorate you’re enrolled). Early voting will begin on Monday 13 May 2019 . Alternatively, you can apply for a postal vote online now at www.aec.gov.au. You can also call the Australian High Commission in Port of Spain between 8am and 4:30pm, Monday to Friday (local time) on +1 868 822 5450 or email ahc.portofspain@dfat.gov.au. To learn about we can and cannot do, please refer to the Consular Services Charter. Some jurisdictions will not allow entry on passports that are due to expire within six months. Recent legislation has made it mandatory that all applicants present for an interview at their nearest/most convenient consulate or embassy. Australian citizens wishing to apply for or renew their Australian passports can now do so at three of our accredited Australian Honorary Consulates in Barbados, Jamaica and The Bahamas, in addition to the Australian High Commission in Port of Spain. 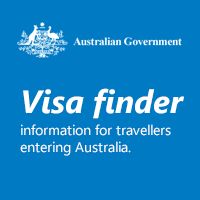 Please note Frequent Traveller Passport (FTP) applications are no longer accepted in Australia or overseas (as of 1 December 2017). The overall demand for FTPs has decreased as more countries are issuing electronic visas. 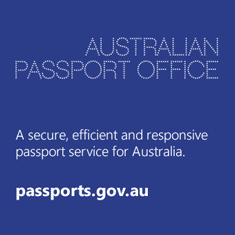 You can discuss the options for a replacement passports with the Australian High Commission. The Australian High Commission in Port of Spain is able to provide a limited range of notarial services. These services are for Australian citizens, non-Australian citizens who hold a current Permanent Resident visa, and for other nationalities so long as the documents are for use in Australia. If you have any queries or would like to make a booking, please contact the Australian High Commission. Consular fees are payable for these services and for some services, there may be free alternatives available such as witnessing of documents by medical practitioners or police officers. From 2018 onwards, notarial service fees will increase annually in line with the Consumer Price Index published by the Australian Bureau of Statistics. The Department of Foreign Affairs and Trade does not produce travel advisories for Antigua and Barbuda, Barbados, Dominica, Grenada, St Kitts and Nevis, St Lucia and Suriname, or any of the non-independent territories of the region at this time. Read Travel Smart for useful information to help you prepare for your trip, and advice on what you should do if you run into problems overseas. 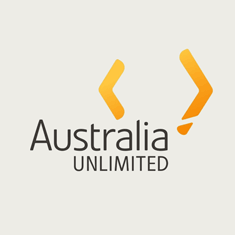 The Australian Government advises all persons interested in visiting, working or living in Australia to please be aware of a number of Job Scams that may be related to Phishing Scams. Social media sites and the wider Internet present many opportunities to earn extra money; many of which are not legitimate. If it sounds too good to be true, it probably is! The Australian Government is aware that clients in the Caribbean have been targeted by unsolicited e-mails fraudulently offering employment from Australian cruise ship companies. Victims of this scam are defrauded of fees supposedly for visas or fictitious "foreign worker certificates". It appears the fraudulent e-mails originate from other countries, not Australia. 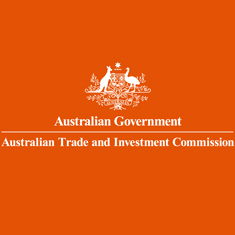 The Australian High Commission is unable to verify employment offers from Australian companies. Job-seekers are, however, strongly advised to verify all job offers using publicly available contact details for the relevant companies.